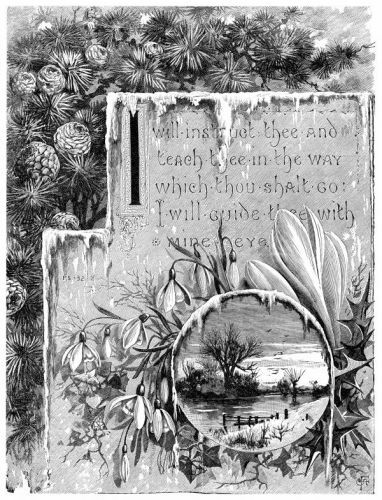 Description: A grayscale illustration of the Bible verse- I will instruct thee and teach thee in the way which thou shalt go. I will guide thee with mine eye. Psalms 32-2.